Want to reach people regularly via their smart speakers? Wondering how Alexa flash briefings work? 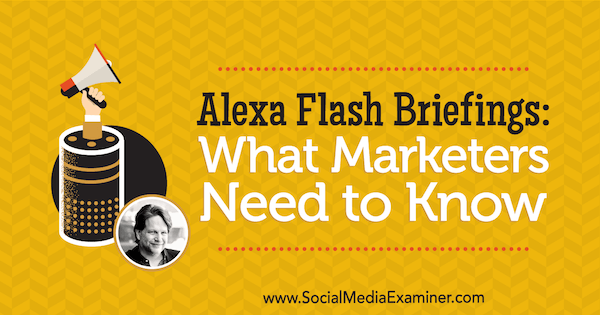 To explore how marketers can benefit from Alexa flash briefings, I interview Chris Brogan. In this episode, I interview Chris Brogan, a digital marketing advisor for large businesses. He specializes in customer experience marketing with a focus on emerging technology. He’s also host of the new podcast, Making the Brand. Chris explains why now is the time to tap into the Alexa platform. You’ll also discover how to save time developing flash briefing content and managing your audio. Alexa Flash Briefings: What Marketers Need to Know featuring insights from Chris Brogan on the Social Media Marketing Podcast. Chris says he’s never on the bleeding edge of anything. The first time he encountered a smart speaker, he wasn’t impressed. You could ask it to play a song, but he doesn’t play music nonstop in his house and has nicer speakers than that device. However, when Chris learned about Alexa flash briefings and similar technologies on other platforms, he saw a business application for a conversational interface. 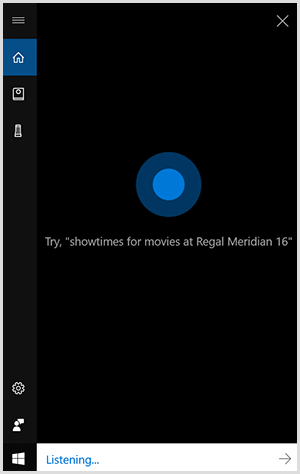 For example, when Chris bought a Windows laptop to play a game with his son, he set up the laptop through Cortana, the Windows conversational interface. In retail shopping, to compete with Amazon, Google Home partnered with Walmart and eBay. Apple has Siri. Marc Benioff, CEO of Salesforce, just announced he’s trying to make a conversational interface for doctors so they can do prescriptions and patient care through an audio device as well. As the major technology companies come out with their own conversational interfaces, the increasing competition suggests these companies know something about this technology that regular folks don’t. As the technology continues to emerge, Chris thinks the current opportunities mean that now is the right time for marketers and companies to start thinking about how to use it. Listen to the show to hear Chris discuss how conversational interfaces are like Jarvis from the movie, Iron Man. For instance, any of these devices can respond to a user who says, “Blank product, tell me about the weather,” or “Blank product, is Ed Asner still alive?”, or “Blank product, when is the next time Avengers: Infinity War is playing in my neighborhood?” In all sorts of cases, you can use this technology instead of looking at your screen. Chris believes voice technology is in the same place as mobile several years ago, when people were saying, “Mobile’s coming. Mobile’s coming.” After mobile truly arrived, websites that didn’t prioritize mobile stopped appearing in Google search results. Similarly, because voice technology can now understand what we say regardless of inflection, accent, and so on, magical things are happening. Industry leaders are talking about the increased adoption of smart speakers. A very recent article from PSFK said 65% of people age 25 to 49 interact with an AI assistant (which is another term for a smart speaker) at least once a day. Satya Nadella, CEO of Microsoft, says voice and conversational AI represent a new age of computing. However, PwC notes that people’s misunderstanding of what smart speakers do or lack of trust in the technology has slowed adoption. For marketers who haven’t added a smart speaker to their homes, Chris notes that a marketer’s biggest curse is thinking that everyone is like them. He emphasizes that Echo Dot was the top-selling product on Amazon for the 2017 holiday season. In fact, millions of people have smart speakers. A recent survey from NPR and Edison Research found that about 39 million people in the U.S. use some type of smart speaker. However, the platform is content-starved. Alexa has only about 1,000 or so flash briefings. This lack of content presents an opportunity for marketers. Furthermore, Chris believes more people will continue to buy smart speakers because they’re so convenient. To illustrate, you can say, “Order some more double A batteries,” and Alexa will say, “The last ones you ordered were these Duracell Procells. Do you want that again?” Then, you can say, “Sure,” provide your code, and it’s done. You don’t have to look up from what you’re doing. The low cost of this technology is also likely to drive adoption. iOS users can test how Alexa works via the Amazon iOS app. You can purchase a basic smart speaker for about $40 to $50. Listen to the show to hear my thoughts on how smart speakers compare to bots. Most smart speaker users buy one for every significant room in their house. For example, Chris’s parents didn’t think they were going to like their smart speaker, but now they have one where they do their computing and another in their bedroom. Chris thinks they’ll likely add a third one soon. Typically, the first smart speaker is placed wherever a person hangs out the most, like the home office or kitchen. Although people add a smart speaker with one use case in mind, they add more speakers as they discover other uses. The number-one use is listening to streaming music, but people quickly move on to setting a timer or alarms, listening to news, and finding recipes. To improve your health, you might track your calories by adding calorie-tracking software to your smart speaker. Then you can say, “Blank device, I just ate a pastrami sandwich. Take care of that,” and the speaker will add the calories in your sandwich to the tally. Right now, Amazon has a massive share of the smart speaker market. About 30% to 40% of users have an Echo, and another 30% percent have an Echo Dot. Google’s smart speakers, Google Home and Home Mini, are the second most popular option. Right now, smart speakers are an Amazon product with a couple others in the wings. Beyond the smart speaker, a bunch of motor vehicles have this technology built in because people don’t want to leave their smart speakers behind. The newer, smarter fridges, including Samsung and several others, can integrate with this technology, too. Amazon calls the apps developers can build Alexa Skills, and you can create those with the Alexa Skills Kit. The available skills are growing exponentially. In November 2016, 5,000 skills were available, and a year later, the number grew to 25,000. This nascent growth is another reason to start getting into Alexa right now. Listen to the show to hear my thoughts about different ways people might use this technology in the near future. At a high level, to create an Alexa flash briefing, you record and upload an audio file. Lots of people create these briefings to share a daily version of some of their content, such as news, sports, weather, and so on. Although a briefing can be as long as 10 minutes, the briefings that people stay subscribed to are almost always about 1 minute. If you don’t like a particular briefing, you can say, “Skip that one,” or “Next.” Chris likes getting some of his news from flash briefings. He also listens to understand what other people are doing so he can find out how he can add to that landscape. “What would Blockchain possibly have to do with gaming? Well, it turns out it’s something really cool, and something I’m involved in. This is your Making the Brand flash update. I’m Chris Brogan. “If you don’t play a whole lot of video games, you might not have realized that they’ve changed a lot since the way-old days. Not only do you just walk around and play in certain game worlds, but you have the opportunity to pick up items and things and create characters that are very uniquely yours. “What happens, though, is that if you decide you want to sell a product or sell your game or trade your game and then pick up something new, where does that stuff go? How do you trade it in? What’s next? The ability to add tangible value to a digital asset is something rather important and that Blockchain handles rather well. “Blockchain, which is the transfer of value ledger that’s underneath a lot of different products like Bitcoin and other cryptocurrencies, adds itself [sic] a really good place for being with video games. Collectible games, sort of like Pokémon, for instance, are a perfect site for this sort of thing. With this flash briefing, Chris is trying to accomplish three things. The first is audio branding. Chris wants people to keep hearing his voice and become interested in his podcast. Second, at the very beginning, before a little musical part, Chris has a teaser to keep people wanting to hear his flash briefing. Third, Chris wants to pique listeners’ interest in his business pursuits. Instead of promoting his flash briefing, Chris tested how his briefing could grow organically. Because Chris is mostly a marketer at heart, he didn’t stay totally quiet about his flash briefing, but he’s been trying not to connect his briefing with his existing audience. Chris took a similar approach with his podcast and loves attracting listeners outside his sphere. However, Amazon search is a little less than favorable. Because Amazon and Google compete directly with each other, Amazon can’t use Google search. Listen to the show to hear how Chris’s approach to promoting his podcast impacted listeners’ perception of him. Amazon provides few stats, but the ones they do provide include unique customers, number of plays, maximum per hour, and average per hour. With these metrics, you can begin figuring out who’s paying attention. Although Chris’s numbers are very small, they’re moving in the right direction. His customer base has been bouncing back and forth over just a few hundred. At the time of this podcast, his metric for maximum per hour was a few hundred people, but Chris says it’s usually a half-dozen or so. However, since March until the day of this recording, his subscriptions are up 295%, his plays have grown 1,000%. Chris says these numbers indicate the opportunity Alexa flash briefings present and encourage him to keep paying attention. Listen to the show to hear more about Chris’s feelings toward his Alexa flash briefing metrics. An Alexa flash briefing is available for only 24 hours and then disappears. However, unless you’re working for a news outlet that delivers breaking stories, you can batch-process your audio uploads for several days in one sitting, which streamlines the work of delivering a flash briefing every day. Having a process helps Chris remember to upload content regularly so he doesn’t accidentally run out of flash briefing content and thus subscribers don’t receive a briefing from him. To batch process Alexa flash briefings, Chris follows the same process he does for his podcast. The only difference is that flash briefings are smaller audio files that he schedules for each day instead of once per week. Because most podcasting software isn’t made for bulk scheduling, the process can seem manual and tedious. That said, Chris says the overall process isn’t that hard and he processes all of his flash briefings himself, including editing the audio and adding music. The idea of creating daily content can seem daunting, but Chris’s workflow still leaves him time to run a business, a podcast, a blog, two websites, and a newsletter. Although Alexa flash briefings are supposed to disappear after 24 hours, Chris notes that he had issues with his scheduling process at the start. A setting in his podcast hosting software, Libsyn, kept the files instead of letting them disappear. As a result, all of Chris’s flash briefings were playing all the time; listeners heard five or six briefings in a row instead of just one. Fortunately, Jeff Smith, who runs AlexaGuy.com, reached out to Chris and fixed the problem. Content Planning:A 1-minute Alexa flash briefing lends itself to content that helps you build niche audiences. As an example, a fun idea for Krispy Kreme might be a donut pairing of the day. Although 1 minute sounds like nothing, over time, Chris has found that 1 minute is a great length. To begin planning Alexa flash briefings, Chris uses Feedly, which is a powerful tool for gathering and parsing a lot of information quickly. With Feedly, Chris has crafted alerts on different search terms, which results in about 1,000 potential data picks each day. Chris speeds through all of this content like a little bitty Bloomberg machine. If something’s good, he adds it to a folder for the briefing. After curating the topics he wants to discuss, Chris clarifies his own take on the topic. His goal is to provide a recipe for how to use a technology like Blockchain, chatbots, or other topics he covers day after day. After his audience hears all of these ideas via his Alexa flash briefings, Chris hopes to inspire people to use them in their companies and also turn to him for more insights. Although Chris curates content, he emphasizes that his flash briefing doesn’t just regurgitate a bunch of ideas. Chris pinpoints how he can provide help with a specific topic, develops a story about that topic for his flash briefing, and uses that story to guide people toward checking out his other offerings. Chris always references the original story but also provides original content. Audio File Creation: After you have your content, your next step is to record and edit the audio for your flash briefing. On macOS, you can use GarageBand to record and edit the audio. On Windows, people often use Audacity. You also need to host the audio file online. 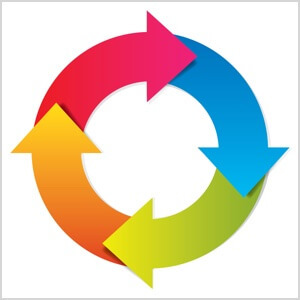 This process is similar to that for podcasting, so resources for beginning podcasters can explain how this process works. 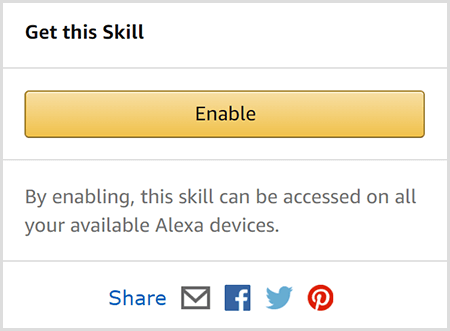 Alexa Skill Creation: Next, you create an Amazon skill that delivers your flash briefing. To start, sign up for a free developer’s account. You can provide your existing Amazon passcode and information, or you can make a separate email. Then you select the option to create a new Alexa skill. A form appears with several fields you need to fill out. In one of the fields, you need to provide an RSS feed URL, which tells the skill where to find your audio files. To get this URL, Chris uses Libsyn, which is one of the big services for hosting podcast audio files. You can set up a Libsyn account for as little as $5 per month. When you’re done filling out the form, you follow the on-screen prompts, and read and accept the agreements if you’re okay with the terms. After Amazon takes a day or two to review your flash briefing, you’re good to go. You’re live. It’s really that easy. The whole process takes about 10 minutes. Since setting up his flash briefing, Chris has rarely returned to the Amazon development tools. Most of the time, he uses Libsyn to load files for his Alexa flash briefing. However, Chris does use the Amazon site to check his metrics because Amazon has to pull the flash briefing audio file only once to play it many times. By checking metrics in Amazon instead of Libsyn, Chris hopes to avoid inaccuracies. Although his numbers are still low for now, he would hate to think his flash briefing was playing only once, when it was actually playing much more than that. Listen to the show to hear more about why now is the time to start creating Alexa flash briefings. With Adobe Capture, you can find out the exact colors in any color scheme, whether it’s a printed piece or a nature scene. Say you’re out and about in the world and see a color scheme you want to use in your digital marketing. You simply open the app and aim it at the color scheme you want to capture. The app then identifies the key colors along with their hexadecimal color codes. You can export the color scheme so you can work with it in Adobe Creative Suite, too. Adobe Capture is a free mobile app for iOS and Android. 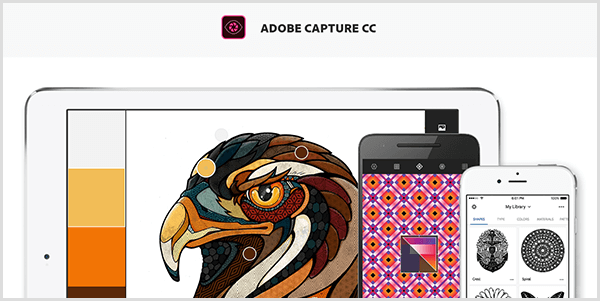 Listen to the show to learn more about Adobe Capture and let us know how it works for you. Visit Chris’s website, where you can sign up for his newsletter. Listen to Making the Brand, Chris’s new podcast, via iTunes or Stitcher. Subscribe to Chris’s Alexa flash briefing. Check out what industry thought leaders such as PSFK, Microsoft CEO Satya Nadella, and PwC are saying about the future of smart speakers. Learn more about the sales of Echo Dot during the 2017 holidays and Amazon’s share of the smart speaker market. Read the recent survey from NPR and Edison Research about smart speaker use in the U.S. Explore the Alexa Skills Kit. Learn more about Jeff Smith, who runs AlexaGuy.com. Check out podcast hosting software Libsyn. 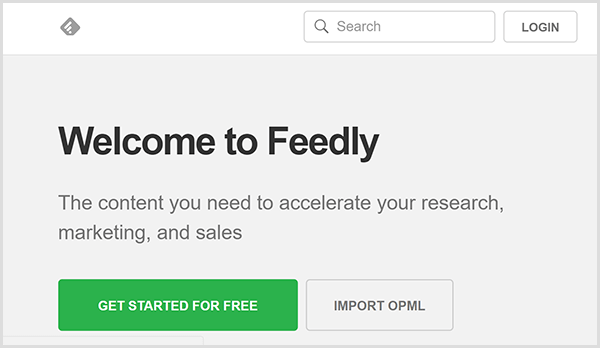 Discover how to curate content with Feedly. Record and edit audio with GarageBand or Audacity. 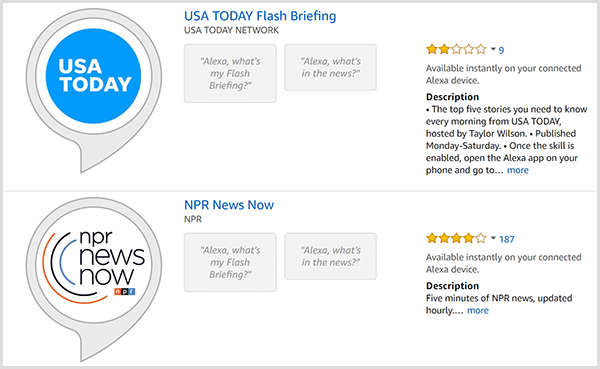 Learn how to create an Alexa flash briefing with Social Media Examiner’s step-by-step article. Try the Adobe Capture mobile app on iOS or Android. Download the 2018 Social Media Marketing Industry Report. What do you think? What are your thoughts on Alexa flash briefings? Please share your comments below.